As the premier event for destination marketing and management professionals, DMAI’s 2016 Annual Convention promises to inspire, educate and inform. This year’s convention will be nothing short of an engaging, energetic and value-driven event featuring educational tracks focused on leadership, marketing, sports, convention sales, and more moderated by dynamic thought leaders from inside and outside the industry. Relationship-based exchanges among industry providers and DMOs. Please visit the Minneapolis Convention Center, Lobby B to register on site. A full refund of the conference fee, less a US$150.00 administrative fee, will be provided for cancellations. We regret that we will be unable to honor refunds after July 12, 2016 without proof of medical and/or family emergency. As a thought leader, author, manager and corporate executive, Abigail Posner has spent her life catalyzing change and creating impact. 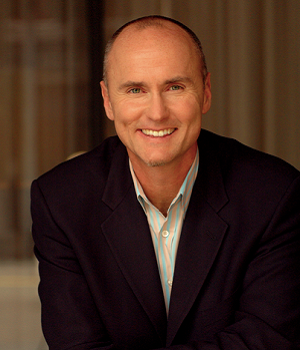 Chip Conley is the Head of Global Hospitality and Strategy at Airbnb. At Airbnb, Chip is sharing his proven methods with hundreds of thousands of hosts in over 190 countries around the world. Jay Baer is the world's most retweeted person among digital marketers. He is a renowned business strategist, keynote speaker and the New York Times best-selling author of ﬁve books who travels the world helping businesspeople get and keep more customers. 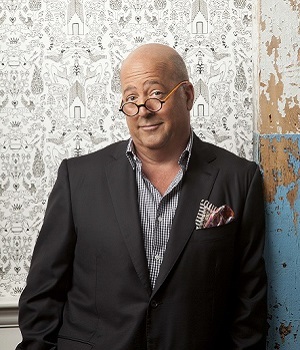 Andrew Zimmern is a three-time James Beard award-winner, a chef, a writer, teacher and gracious dinner guest who has traveled to over 150 countries, logging countless hours in kitchens around the world. DMAI's Annual Convention is an invaluable opportunity for media representatives to catch up on the latest DMO industry news, topics, and trends. Editorial representatives are welcome to attend all general and educational sessions, spend time in our Business Exchange and attend the evening events. Representatives who wish to take advantage of this opportunity must submit editorial coverage within 90 days of the convention's conclusion. To request a press pass, please contact Jim McCaul, Director of Communications, at jmccaul@destinationmarketing.org. Please note that media credentials will only be provided to editorial staff. Sales representatives are welcome to register via various exhibitor/sponsor opportunities. We invite you to return and review the convention agenda often to view the latest updates to the schedule, education session descriptions, speakers, and more. Feel free to browse through event dates and select a session to learn more about each one. To download a printable PDF agenda, please click here. Whether investing in your professional development, interacting with your peers, or making new connections, there's plenty to do before, concurrently, and after DMAI's Annual Convention this year.